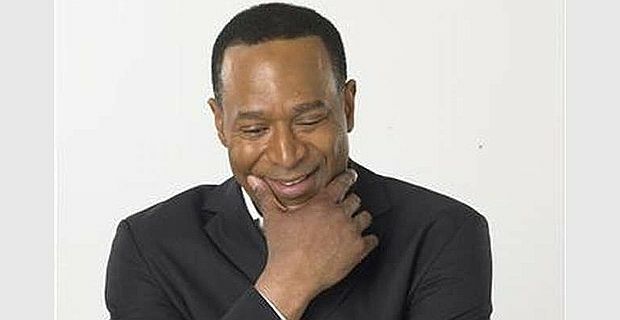 Comedians paid tribute to fellow comic Felix Dexter who has died of cancer, aged 52. Dexter, a Londoner born in St Kitts, first came to prominence as part of the Real McCoy black comedy showcase and later worked with the Royal Shakespeare Company. Dexter had roles in the sketch show series The Fast Show and sitcoms Knowing You Knowing Me With Alan Partridge, Absolutely Fabulous and Citizen Khan (currently screening on the BBC). Some of his most acclaimed work came in the character comedy series Bellamy's People, where his versatility as an actor was highlighted. Paul Whitehouse worked with Dexter on The Fast Show and Bellamy's People. "He was a very modest, a very private man," Whitehouse told BBC radio. "It was an honour to be close to him. He stuck in people's minds, Felix. There's been such an outpouring of warmth and affection for him." Dexter worked for years on the stand-up circuit, claiming his legal training helped him deal with raucous audiences. Fellow comic Sean Hughes tweeted a tribute: "So so sad to hear about the truly wonderful Felix Dexter passing away. I hope you can feel the love in the comedy community fella. RIP." Bill Bailey added his thoughts: "Very sad news about my old friend Felix Dexter," he tweeted. "A brilliant comedian, a superb comic actor, a lovely man I feel privileged to have known." Dexter's friend, radio presenter Eddie Nestor spent time with the comic in hospital. "It's a sad day," he said. "It's a really sad day. I went to see him and we talked and we laughed, and we laughed really hard. This is somebody who's been diagnosed with a terminal illness and you find yourself laughing really hard, belly laughs. We've lost a talented, intelligent, articulate performer who could touch - who could reach out."